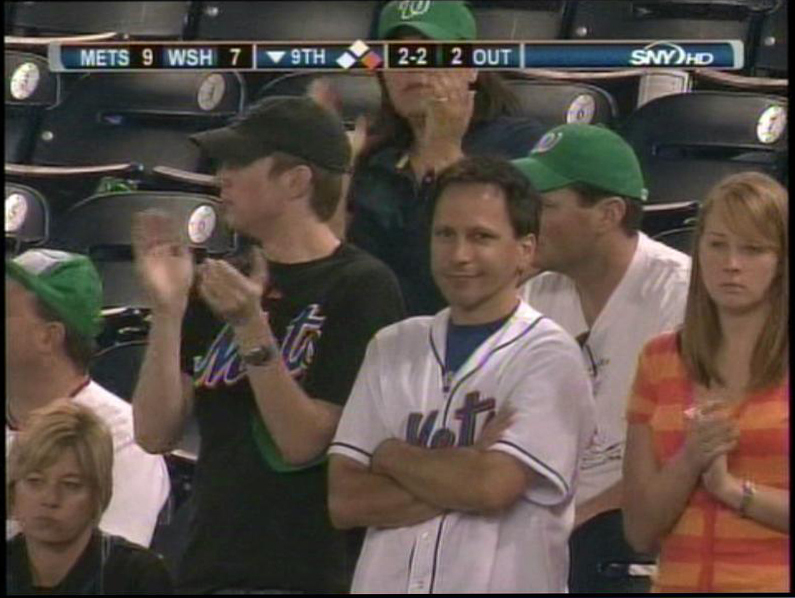 My aunt, brother, uncle and I were on the SNY broadcast of the Mets game last night, just before the final pitch. As you can see from the looks on our faces, despite the 2 run lead, we were not too convinced there would be a happy outcome. Each of us instantly received phone calls/texts from different people letting us know they just saw us. According to my mom, the broadcasters said something to the effect of that we were representative of all Mets fans right now — nervous and desperately wanting a win.